Steven Aramini, designer of Animal Kingdoms out on Kickstarter from Galactic Raptor Games, joined BJ for a rousing chat about design philosophy. Plus The Jambalaya Game! Bill got a lot of gaming under his belts lately, so let's do a Review-Palooza! Can you smash all that is 7 Wonders into a two player game? Check out Ric’s video review and see for yourself! Theo reviews Teotihucan from NSKN Games! 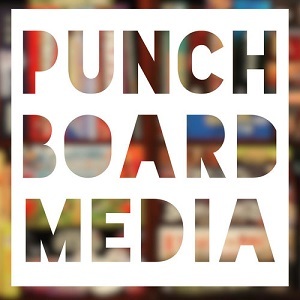 Eric Buscemi of the Cardboard Hoard joins BJ for a big chat about PAX U and the Jambalya Game! In this video, Paul is talking about the Top 10 games of all time, according to his Patreon supporters. This video is Paul’s monthly VLOG for December 2018. Moe dips his toe in the video review waters and takes a look at The Battle for Ramadi, the latest solitaire game from Tiny Battle Publishing. This video is Paul’s unboxing of Mage Knight Ultimate Edition. The Cubist is back after their loooooooong holiday break to talk about 2018 in the world of gaming. In this video, Paul tells you what he thinks about Reykholt, designed by Uwe Rosenberg and published by Frosted Games and Renegade Game Studios. Chronicles of Crime from Lucky Duck Games blends the world of analog and digital in an incredible way. Find out why this detective game is one of our favorite games of 2018. BJ gets some Gumbo Scoops from the Podfather himself, Stephen Buonocore, on a recent Gumbo Live! Terraforming Mars Legacy??? Check it out here…. Watch as Moe shares his overview on assembly and thoughts on these acrylic overlays for Terraforming Mars and their value in this review. The Ninja returns to the Gumbo! BJ chats with Jeremy Davis on a recent Gumbo Live! BGG Con! Top Gateway Games! The Jambalaya Game! Laissez les bon temps rouler! In this video, Paul is going to be giving you his top five games from 2017. In these five videos, Paul reviews Forum Trajanum, Blackout: Hong Kong, Magnastorm, and Futuropia, and Rick reviews Arkham Horror: Third Edition in a special guest video. In this video, Sunniva and Johannes takes you through their top 10 games of 2018! Dec 17 The Cubist #99: Review-Palooza! Tonight the Cubist Crew does an entire show full of reviewing games, with side tangents along the way like always!